Apart from the seemingly obvious, I don't know much about the paparazzi and, unless you count the gossip websites, magazines and newspapers they contribute to (I might've read... ahem... one or two in the past), I've certainly never read any books in which they feature. 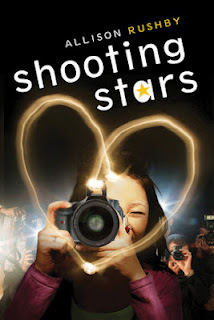 So when Shooting Stars appeared in my inbox, I couldn't resist the chance to add it to my reading list. With that said, I’ve always had my hang-ups about the paparazzi. We’ve all got preconceived ideas about them, right? A lot of us think they’re scumbags who take unflattering, highly intrusive photos of famous people just to make some money off this fascination the world seems to have with celebrity. And, when I started reading Shooting Stars, these are some of the thoughts I brought with me. So, you can imagine having this in mind, I wasn’t in the best position to enjoy it. But, as I read on, I found a whole bunch of layers which made it easy to capture my interest. There are many unexpected twists and turns and some excellent, yet subtle and non-preachy, moral points. The main message of the book seems to be accepting yourself for who you are, along with accepting others too. And, through the main character's lives, this is well achieved . I even found that with some of the perspective provided by Jo, my opinion of the paparazzi softened towards the end. 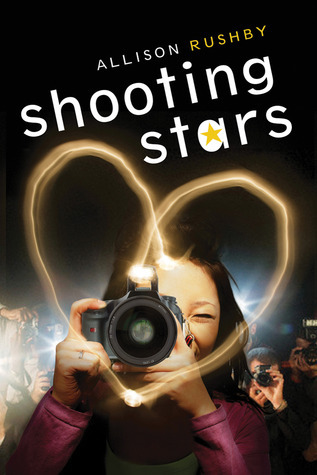 Though it was a little too lightweight for me personally, Shooting Stars is a fun and feisty read. If you’re looking for a good summer book within the young adult genre, I’d definitely recommend this. To learn more about Allison and her books, visit her website here. You can also buy your own copy at The Book Depository.